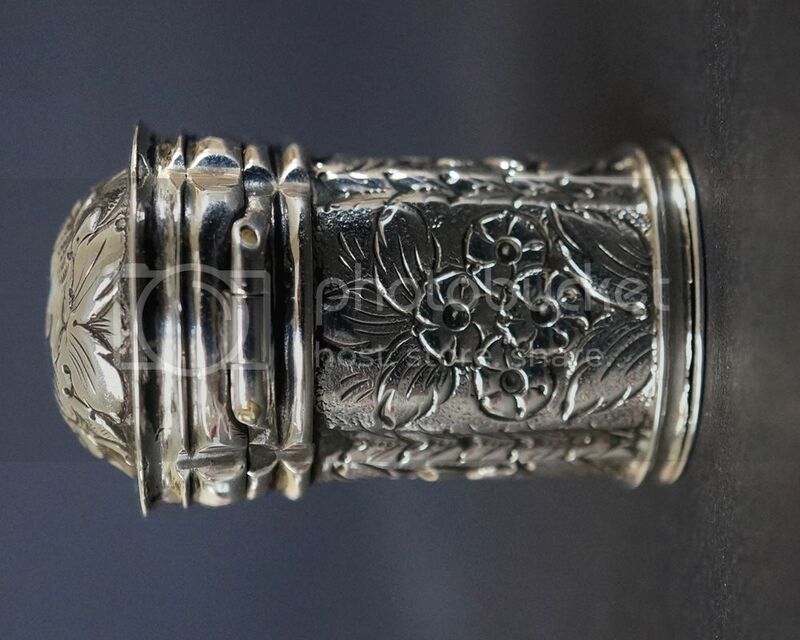 I've never come across an Irish Georgian silver box like this before so I think it may be quite rare. I am hoping to get some help as to its purpose. Although sold to me as a snuff box, maker's mark possibly HH, it was clearly impracticable for this use due to its shape and size, the diameter at the top opening being a mere 2.1 cm, and it seems equally impracticable as a pill or patch box. It's just too small to get fingers in to pick up anything inside. It is decorated all over with repoussé flowers. 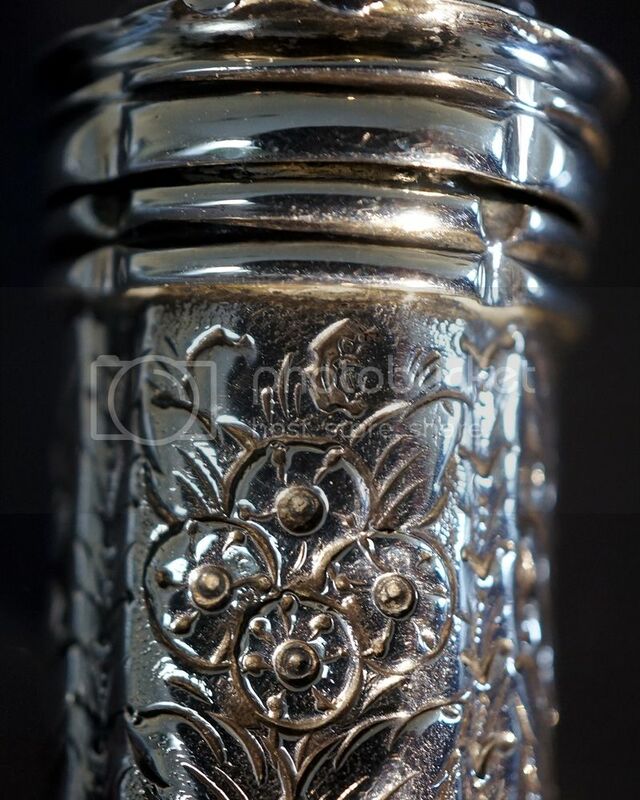 The maker's mark is not HH but HF for the well known Dublin silversmith Henry Flavelle, who made a variety of small silver pieces including boxes. His HF mark is quite easily seen inside the domed hinged lid. 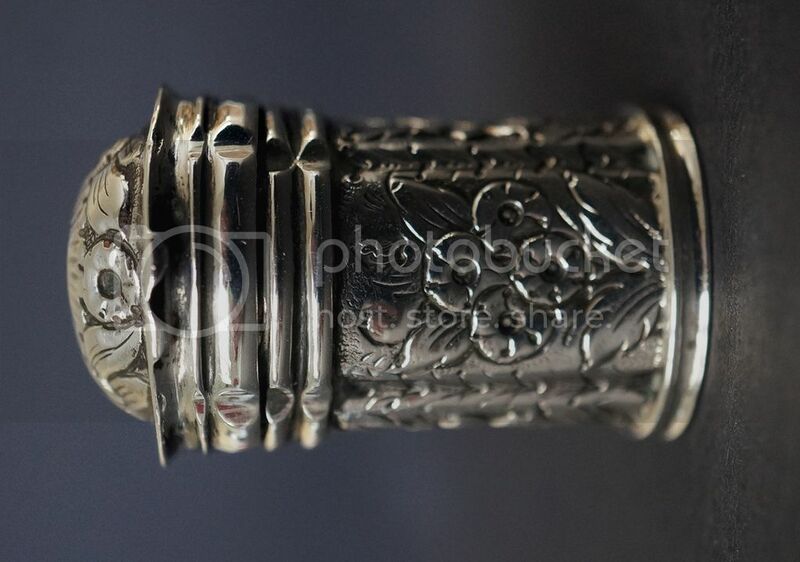 On the outside of the box are a Crowned Harp and the Sovereign's head for George III. There is no date mark. Henry Flavelle worked from 1821-1870 and the shape of the reserves indicates circa 1830 for this box. In Starting to Collect Silver (1984), John Luddington said all gaming counter boxes were circular, insofar as he knew, but this silver box has a quatrefoil shape with four distinct lobes. However, I just can't think of any other possible use other than as a gaming counter box. 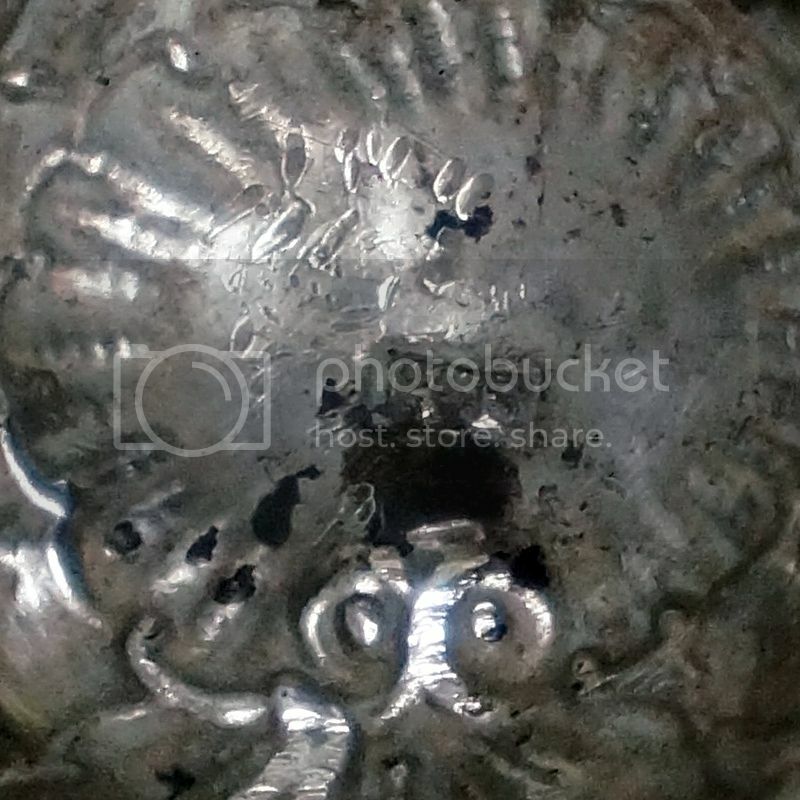 I have searched reference books and online sources yet have been unable to trace any other Irish silver gaming counter boxes of any shape, even circular, or any English silver counter boxes with a similar quatrefoil shape. In Holland, most likely, we should call it a silver lod(d)erein (Vinaigrette) box. Many thanks Peter! I believe you are absolutely correct. 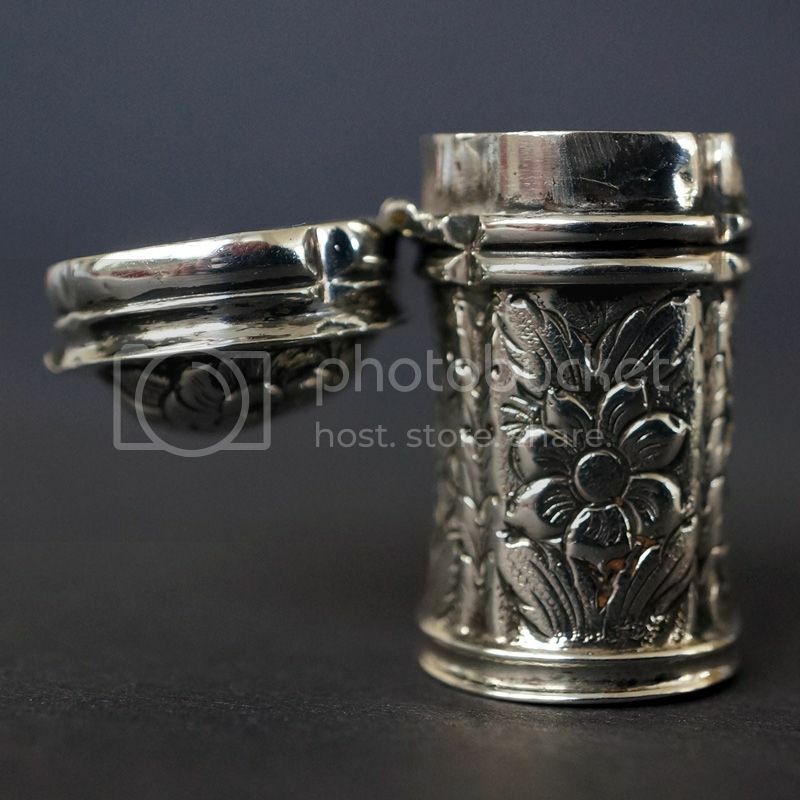 I just looked up some silver loderein boxes online and the similarity is unmistakeable to those little Dutch boxes. I've never seen or even heard of an Irish made 'loderein' box like this before. 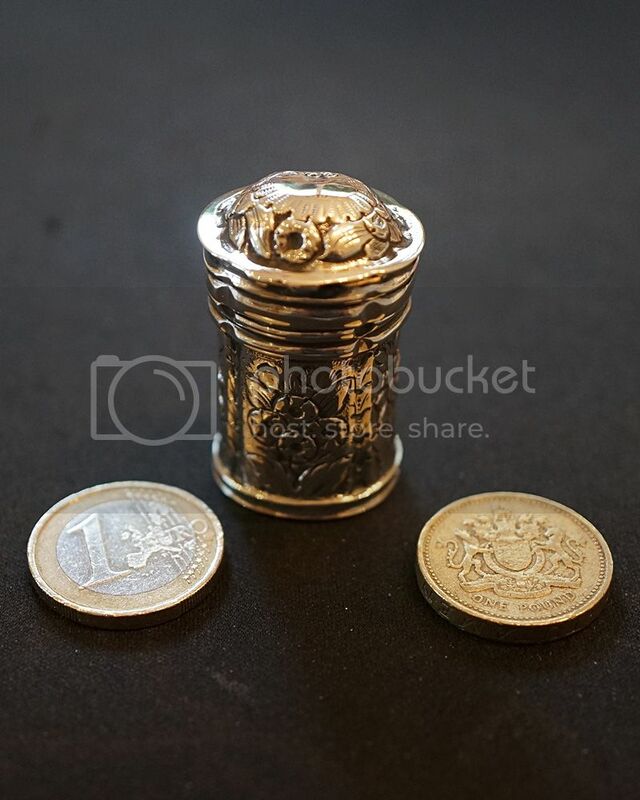 It's so different from the usual Dublin silver vinaigrettes. Perhaps my box was made for a family who moved to Dublin from Holland.